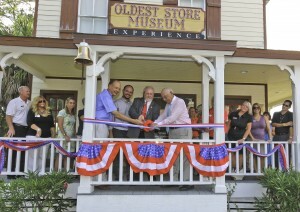 St. Augustine’s Oldest Store Museum celebrated its Grand Opening and Ribbon Cutting on July 12, 2011. The museum has everything you could imagine from dress patterns and cameras to bicycles and a goat powered washing machine. On the tour through the museum you are taken inside this turn of the century emporium of gadgetry by a snake oil salesman who is trying to sell you the newest in 1900 goods and technology. After trying to sell you Dr. Barkers Blood Builder patent medicine, an Edison Cylinder Music Player, a cream separator, a cork sizer, and even a milkshake maker, you are escorted through the butcher’s shop, equipped with real smoked hams and bacon, into the back warehouse. The Butcher is an animatronics figure that is chopping away on a slab of bacon and telling you the meat prices for the day. In the warehouse you are greeted by the warehouse manager who picks up the tour in the barnlike warehouse. The atmosphere goes from high intensity sales pitches to calm and interested explanations of the products in the back. You see a washing machine powered by a goat treadmill and a thresher that can be powered by a horse treadmill. You get to hear a history of bicycles as one is lowered from the ceiling were many other objects are displayed. After the warehouse portion of the tour you can explore a hallway lined with antique washing machines through the ages. An Apex Electric from the 1920s begins to work and bubbles shoot out of a machine at the end of the hall. As you move into the next room you are greeted by a bread wagon from Moeller Brother’s Bakery, a buggy from 1908 and a Regina Music Player. While looking at the portraits on the wall, the one of C.F. Hamblen comes to like and begins to tell you the history of his store. C.F. Hamblen Hardware opened in 1875 and as the city of St. Augustine grew, so did the store. Hamblen’s was instrumental in the building and upkeep of Henry Flagler’s railroad and hotels throughout the state of Florida. Included in the Oldest Store Museum collection are many receipts and orders for various things shipped to the hotels and the Florida East Coast Railroad. Hamblen died in 1920 and his store passed into the hands of George Meserve who continued dealing with the Florida East Coast Railroad and many of the Flagler hotels. In 1960 the warehouse was purchased by Fred Green who found very quickly that Mr. Hamblen never threw anything away. Three short years later, the Oldest Store Museum was opened on Artillery Lane on Feb 11th 1963 and quickly became a popular St. Augustine attraction. In 2002 HTA purchased the collection and packed it all into storage to wait for the perfect time to reopen this wonderful attraction. Over the course of the next nine years events slowly took place toward the opening of the museum and in 2011 the project began in full swing. Many people’s hands worked on this project and everyone is very proud to see the final product. It has turned out better than ever imagined and will again be a popular attraction in the city. 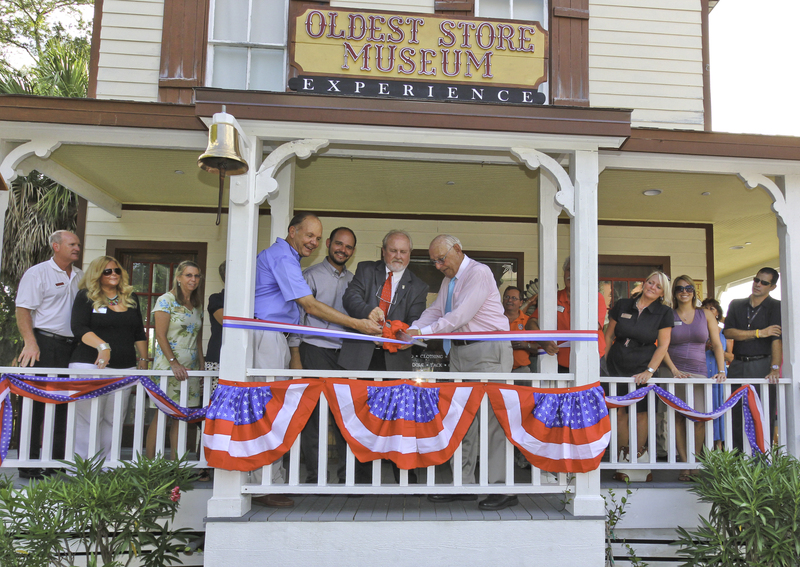 So next time you find yourself in St. Augustine be sure to visit the Oldest Store Museum and experience the excitement of the times as St. Augustine emerged into the modern age with the help of C.F. Hamblen Hardware Company. Old Town Trolley Tours has just launched their first mobile website. It can be used on any smartphone system, since it is web based and not an app. Not only will it provided guests with lots of information, it can help them navigate their way around Boston, Washington, San Diego, Savannah, St. Augustine and Key West and help them get back to the trolley stops to continue their tours. Click here to check it out! Posted in Boston, Key West, San Diego, Savannah, St. Augustine, Washington DC | Comments Off on We’ve Gone Mobile! 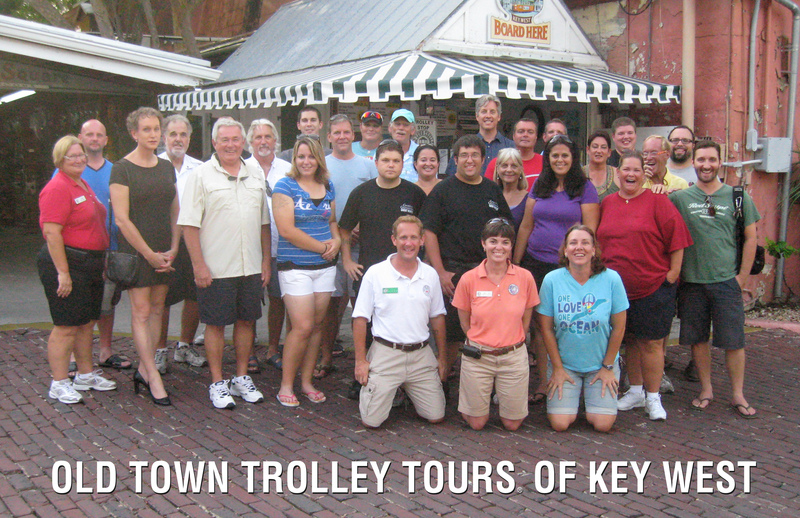 Our fabulous CAST of Old Town Trolley Key West tours! Old Town Trolley Savannah tours was recently featured on CNN’s One-tank trips: Coastal Georgia. One tank of gas from St. Mary’s to Savannah. The crew hopped aboard Denise’s trolley in Savannah and had a great time. 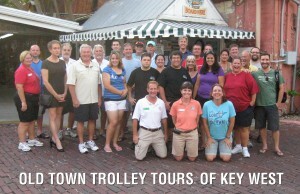 You are currently browsing the Old Town Trolley Tours Blog blog archives for July, 2011.